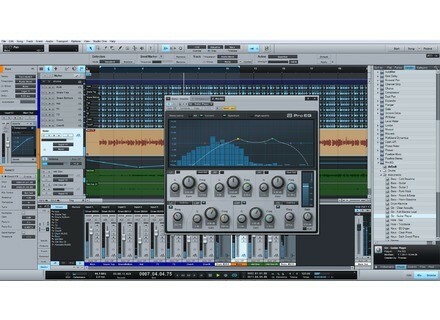 Studio One 2 Professional, General Sequencer from PreSonus in the Studio One 2 series. 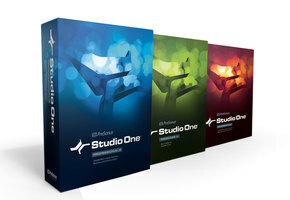 Launched about two years ago, the first Studio One version impressed with its maturity. The program was stable, practical and well thought-out. It had almost nothing to envy the leading sequencing tools. Studio One has gone a long way since the first version: it was dramatically enhanced in v1.5 and now comes back with a really amazing version 2. Let's check it out. Never change a winning horse! Once you install the software and the numerous plug-ins and sound banks included, you'll find a familiar user interface. In fact, the philosophy of the product didn't change much: the software distinguishes between a Song (single song to be recorded/edited/mixed) and a Project (which can include several songs for mastering tasks, for example). Based on this philosophy, the product is organized in three different parts: Start (to create or open a Song or a Project, to access the setup options of the application, to load updates or to get news about the product), Song (to record, edit and mix a song), and Project (to master and export one or several songs, or even a full audio CD). You'll obviously use the Song mode the most, which is also the one that has the most comprehensive features. The layout of the GUI is still the same. 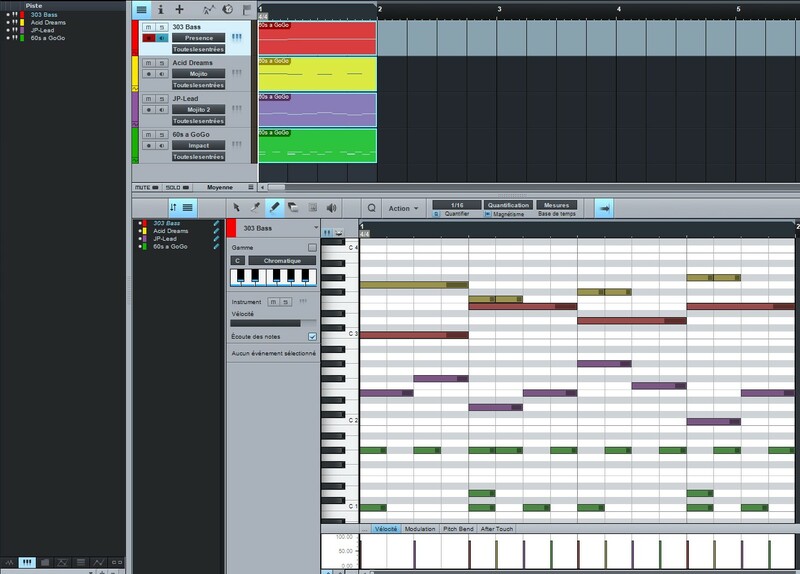 On the right-hand side you have a Live-like browser that allows you to browse your audio/MIDI files, plug-ins, ReWire apps like Reason, and all their presets (via category, manufacturer or a search engine). On the left-hand side you have a track inspector. In the middle is the arrange window. 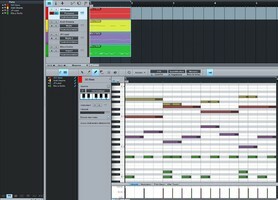 The lower part of the screen is dedicated to the edit window, which displays either the audio editor, the piano roll or the mixer. Each of these components can be collapsed and you also have the possibility to move the editor and mixer windows freely, regardless of the position of the main window. This can come in very handy, for instance, when you want to display the main window permanently on a second screen... The Project GUI is still the same: besides a pre/post-fader stack of inserts, it includes an area dedicated to the waveform of your different songs and several large-sized displays for the frequency spectrum, the main level or the stereo field. In short, the new features are not visible at first sight and you'll have to dig deeper into the software to discover them. That's it? Nothing new? On the contrary, you get lots of new features, starting with a crucial one: you can now manage comping tracks, which wasn't possible before in Studio One. In v1.6.5 when you recorded in loop, the software recorded all takes and then allowed you to generate a new track for each of them. Although this function is still available (via the "Unpack to Tracks" option), you can also extract the takes to different Layers, which is more convenient for future processing. You can solo each layer and you have the possibility to select a segment of a take with a single click in order to create a comping track with the best segments of the different takes. 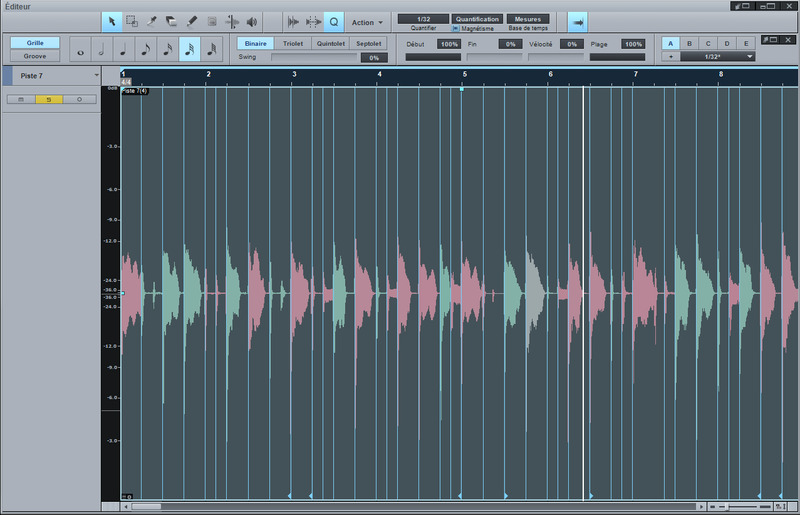 The software adds an auto-crossfade to avoid audio artifacts when placing segments from different takes side by side. 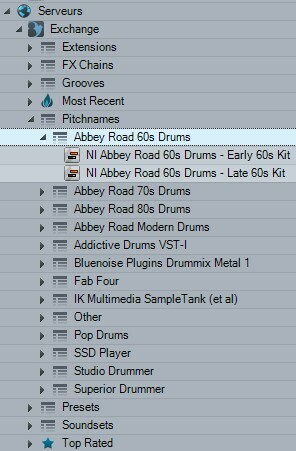 It is also worth mentioning that this feature can be used with grouped tracks (which can be especially valuable for drum tracks). This is certainly nothing revolutionary and you can find similar features in most competitor products. However, it is very well achieved in Studio One so it is very welcome! Among the new audio features, you'll also find the many advanced options for sync and quantization tasks. Although v1.6.5 already gave you the possibility to quantize audio clips by splitting them in as many sub-clips as required taking transients as reference, the new Studio One version makes this process much easier because it can now detect transients automatically. This feature is extremely easy to use and very useful for groove extraction and quantization tasks. It can even operate in the background without you noticing a thing or needing to start or set the transient detection. To quantize an audio clip, just select it and press Q. The quantize function can be edited and is available in different modes: Time Stretching or Slicing (like in REX, segments are more or less spaced out instead of being stretched). Are you afraid that a very strong quantization might give robotic results? Press Alt + Q instead of Q to quantize 50%. It's in such details that Studio One makes the difference. True, all sequencers allow you to quantize more or less strongly, but only a few provide you with a clever 50% quantization that is accessible with a simple shortcut. 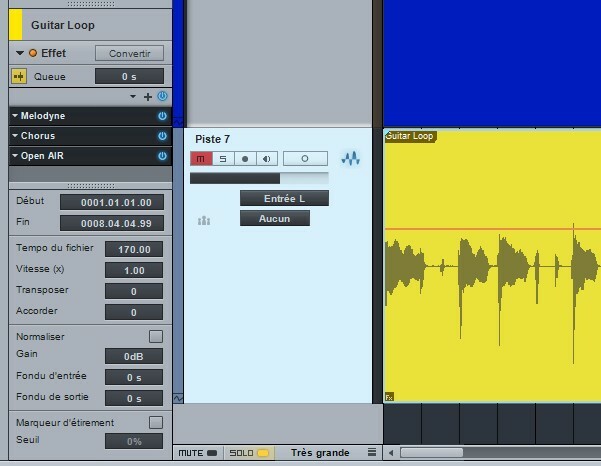 And not every sequencer indicates (with colors) which segments of the audio file are affected by the quantize function, so you can check the precision of the processing and make fine tuning manually if needed. It may not seem much but such features are quite valuable in terms of efficiency: you save one click here and there, so in the end you work quicker and more effectively. 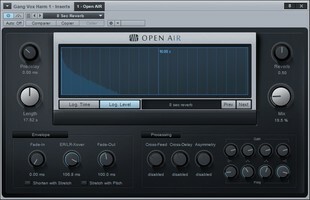 Once again PreSonus tackles a flaw that was present in the first Studio One version and does it in a very clever way. 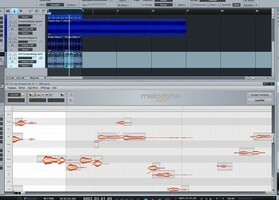 But there is something even better in this new version: it's called Melodyne. 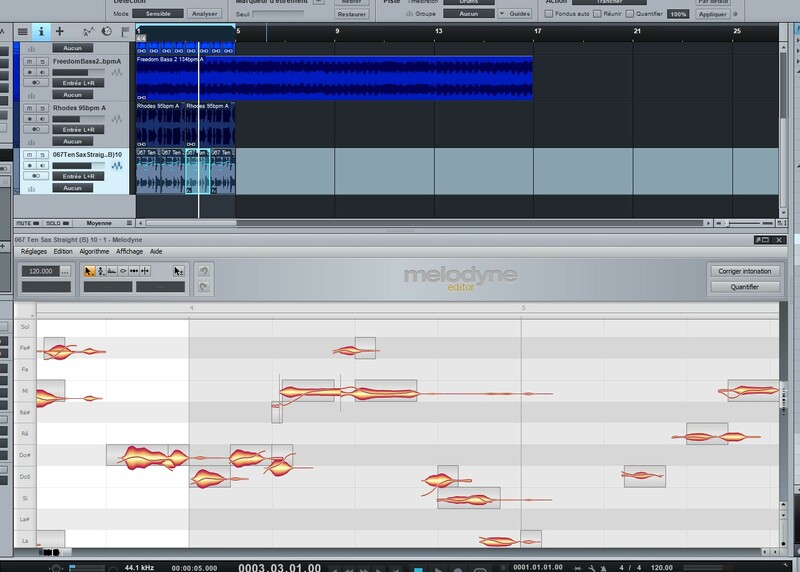 For people who don't know what Melodyne is: it is a software tool which, in its basic version, allows you to edit the position and the pitch of any single note within a mono audio file very easily and effectively. Melodyne makes everybody else bite the dust. Until now, the only trouble with Melodyne was its integration with the leading sequencers. In order to use Melodyne, you had to load it into an insert slot of the channel to be processed, analyze the audio events and work within the not-very-practical Melodyne window and bear its poor management of shortcuts. With this 2nd Studio One version, Presonus strikes a decisive blow by integrating Celemony's software seamlessly. No more plug-in inserts, no more analysis, no more shortcut problems: from now on, a single right click on an audio event allows you to open Melodyne in the lower part of the main window. This is a big plus in comparison with other DAWs: those which offer similar features use algorithms that are much more inferior than Melodyne in terms of audio quality. And this can turn into a decisive factor for people who have a Melodyne Editor license with its famous Direct Note Access technology, which allows you to do the same as Melodyne Essential but with a polyphonic signal. The processing power provided by Melodyne, in terms of editing (moving a guitar arpeggio, changing the pitch of a piano note), sampling (isolating an instrument within a mix) and arrangement (transpose majors chords to minor) —plus the fact that Melodyne is more easily usable than in all other sequencers — makes everybody's life easier! Studio One certainly doesn't provide all the features available in Melodyne Editor and we can't give Presonus the laurels due to Celemony, but the excellent integration of Melodyne into the sequencer is a major advantage over all competitor products, regardless of their price! Here is a small example to give you an idea of Melodyne's power: let's assume we have a saxophone audio loop and we want to double it or replace it with a synth. We only need to follow three simple steps: first, right click the sax loop to load it into Melodyne. Then, in the preset browser we have to select the sound we want and drag and drop it into the arranger window, which automatically creates a new MIDI track for the synth and the preset selected. Finally, we click and drag the sax loop into the MIDI track of the synth in order to record the MIDI notes detected by Melodyne. That's it! With a closer look at the way Melodyne is integrated into Studio One, you'll quickly discover a new awesome feature: Celemony's plug-in is not loaded as a track insert but as an insert of the edited audio segment. In other words, Studio One can now apply non-destructive effects to audio events like Samplitude (but a bit more primitively). Imagine you want to add a flanger effect to a lead vocal part only during the chorus. With a standard sequencer, you'll need two different tracks with independent inserts or one track with automation. Thanks to the object-oriented concept, you can insert the flanger in the vocal segment corresponding to the chorus without having to change the settings of the track. This extremely powerful architecture will save you lots of time once you learn how to use it in your workflow. It also allows you to keep the mixer simple so that you always have a good overview. Three remarks about these FX events: first of all, they cannot be automated (or I couldn't figure out how). The second remark is that you only have insert effects. There are no FX sends like in Samplitude — this would be a valuable addition in our slice example: instead of inserting a reverb for each slice, it would be easier to have an FX send for all of them. And the third remark: avoid overusing slices if you don't want your CPU to start complaining about it. PreSonus took CPU/RAM load very seriously and added a freeze function named Transform that proves to be quite powerful. Firstly because it is very easy to use: a single click allows you to transform a MIDI clip that's triggering a virtual instrument into an audio clip, or to render a track fully packed with effects. And a single click is enough to unfreeze the track as well. This clever feature allows you to work faster — and it's not the only one. It seems PreSonus is very concerned about making Studio One a powerful software tool in terms of productivity and workflow. Among the novelties, it's also worth mentioning the Folder Tracks to organize a project better and, more importantly, to manage the track groups within the folder and their assignation to a bus — everything with a single click. It's a real joy to be able to create a drum group, a string group or a brass group without having to spend hours routing each single track. We also welcome the addition of a Track List that provides an overview of all tracks according to different criteria, which allows us to filter the information displayed in the arrangement window per type. Depending on the type, you will be able to display either audio tracks only, automation tracks only, instrument tracks only, etc. And you can even create your own presets to customize the display properties for your personal needs. The advantages of this function is not obvious with small projects. But with a complex project including 32 tracks or more, you won't be able to work without this feature because it allows you to save a huge amount of time scrolling and zooming within the arrangement window. 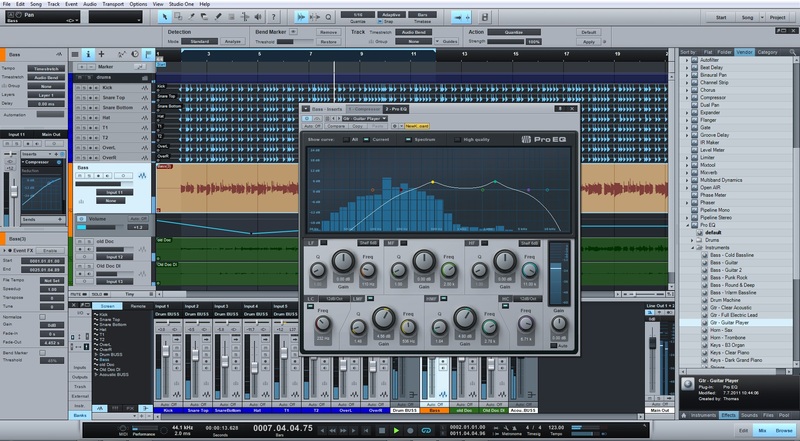 Let's have a look at the new mastering features: DDP support, PQ edition and loudness analysis. The latter provides the user with interesting information required to create a good master: dynamic range, peak level and RMS level for each channel (left/right), etc. This mastering facility won't make headlines, but it is certainly much more than just a bonus in the product. Why? Because it is perfectly embedded in the program: When you master a song and notice a balance problem in the frequency spectrum that you cannot compensate with just a bit of EQing, you can be sure the problem comes from the mix. And that's where Studio One is very powerful: with just one click you can switch to the arrangement/mixer area of the song and edit the settings while all changes are automatically applied to the song rendering in the mastering area. All these features bring us to consider the new effects and virtual instruments added to Studio One. In terms of workflow, everything is very well thought-out, although this section could be even more comprehensive: what about reference songs, which are never easy to manage in most audio editors and sequencers, regardless of their price (how hard is it to add a flac/wav player with markers and loop features...)? 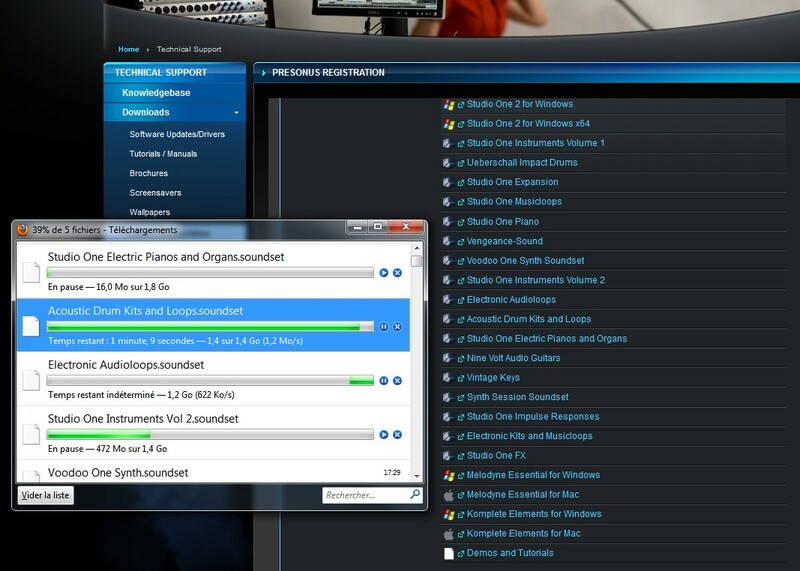 And what about a "Save for Web" view like on Sonnox's Fraunhofer Pro-Codec? And it wouldn't hurt to add audio restoration plug-ins considering that we already have a mastering section... We don't expect Izotope RX to be integrated in the software, but a spectrogram with comprehensive editing possibilities would suffice... Let's turn now to something that might be a small detail for some, but means a lot to many: the SoundCloud integration available since Studio One v1.5. SoundCloud is a kind of YouTube for audio. Today, it's certainly the most powerful web hosting solution for audio files. Some use it as a simple MySpace alternative, but it is much more powerful: it allows public or private file sharing, with or without download possibility, with different formats and resolutions. In short, this is a very useful tool for musicians and it has been added to many mobile applications for iOS and Android. So what could be more normal than finding SoundCloud in your sequencer so that you save even more time? 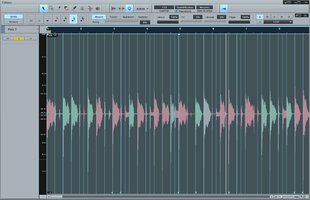 PreSonus did a great job at that: instead of a simple relay solution to your Internet browser, as is the case in Steinberg's Cubase v6.5 when you upload a mixdown, you get full bidirectional SoundCloud integration in the file browser. This means that once you allow Studio One to access your SoundCloud account, you can make your mixdown in the cloud, while the hosted files are accessible from Studio One's file browser (Server tab). In other words, you can listen to the files with one click and you can drag and drop them into the arrange window like every other file. In doing so, the file download starts automatically so you can start working on it right away. What a wonderful (modern) world! When it comes to effects plug-ins, PreSonus decided to make up for one of Studio One's main lacks by adding a convolution reverb to its arsenal of available plug-ins. 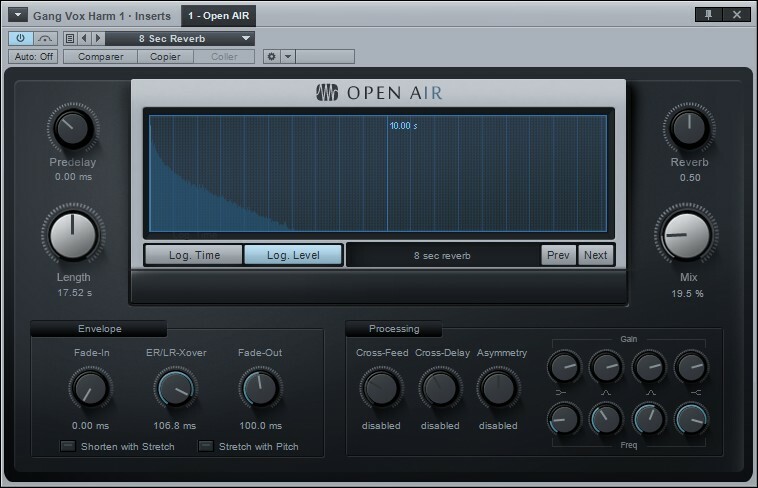 OpenAir is a great addition to the already available algorithm-based reverbs MixVerb and RoomVerb — and it includes a 1.11GB impulse response library. 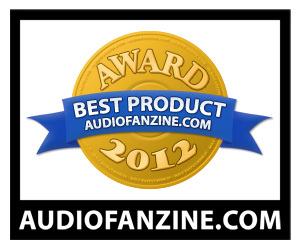 It offers authentic room simulations but, unfortunately, doesn't support True Stereo. However, it is very easy to use and comes with an IR Maker plug-in (an excellent idea!). 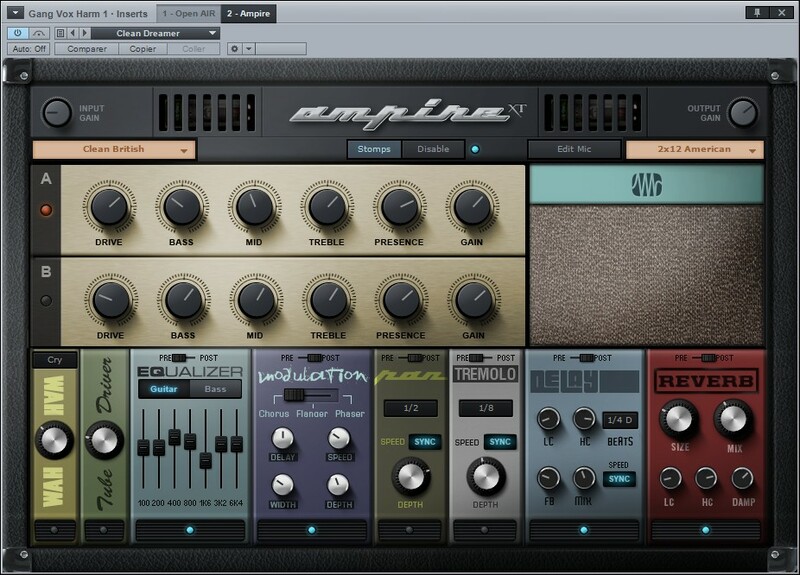 As the name implies, the IR Maker plug-in helps you create your own impulse responses. You just need to set up your mic in the room in front of your speakers, let the plug-in generate the appropriate sweep, record the sound captured by the mic and generate an impulse response. This tool is all the more welcome because it isn't limited only to OpenAir. 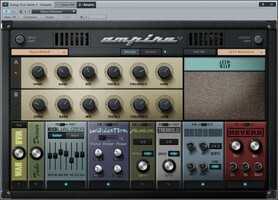 In fact, PreSonus also improved its guitar amp simulator Ampire, available now in XT version. What's new here? Many, many things: a new look, new amp models and, above all, an integrated FX section plus a brand new output stage that gives you much more possibilities thanks to the mic position and cabinet simulation parameters now based on impulse responses. But let's be clear: with only eight stompboxes (Wah, Tube Driver, EQ, Modulation, Pan, Tremolo, Delay, Reverb) and limited connection options (you can only decide if the signal is processed before or after the amp — for six of the eight stompboxes), Ampire XT can't really compete with Guitar Rig's versatility and wide range of possibilities. However, it is much easier to use, produces a much better sound than the previous Ampire version and offers more control (mic position parameters and convolution-based speaker simulation). PreSonus' best idea was to add an "IR Cabinet" mode to the standard combos, 2x12 and 4x12. The IR cabinet allows you to load three impulse responses of your choice, which you can download or create them yourself using IR Maker and your own guitar speaker/cabinet. Among the things I missed were a de-esser (even if the multiband compressor can do the job) and a Transient Designer. It's hard to work without such tools once you are used to them. However, no major feature is missing and you can count on PreSonus to fill up these deficiencies in a future update. By the way, we also embrace the addition of a tone generator (always useful for calibration tasks) and of Dual Pan, a small tool that improves the software's pan possibilities by adding a control per channel, an input balance control and a Pan Law selector. However welcome, this option would have been better suited if embedded in the channel strip. And since we are talking about sounds, let's have a closer look at another of the new features of the software: the Music Loop format. Besides the Audio Loops format that allows you to assign a tempo to a lossless-encoded audio loop (similar to the acidified file Sonic Foundry introduced with Acid), PreSonus provides now the much more powerful Music Loop format. In fact, this container can hold all the information relative to a loop: sequence, sound preset of a virtual instrument, effects, and audio rendering. So what? Like all DAW owners, sometimes you'll start playing with your sequencer and one hour later you'll end up with only a basic idea, riff or groove. You are still very far from completing a song but you think the idea is worth more time. So you'll probably save your session under a very original name like "No name 259," "Ding dong 18," "BoomBoom02," or "AssKickingGuitarRiffNew." Most of you will agree with me in that it isn't necessary to save the full project in such cases. With Studio One, you just have to place locators on the left and right ends of the part you want to save and export it as a Music Loop. In the program browser, this file will be added to all other available loops. Afterwards, you just have to drag and drop the loop into any other project and you'll find all its elements there: MIDI sequence, VSTi settings, effects... and even an audio rendering of the loop (see further). In short, a Music Loop is a sort of independent mini-project. Besides managing your different resources and your SoundCloud account via drag and drop, the browser on the right side also gives you access to PreSonus' servers where you can find goodies shared by community users. From Drum Maps for virtual drums, to effect chains, presets, and diverse loops... A good idea that makes it possible for Studio One to be enhanced without depending on PreSonus' development efforts. Community-based features are not new (the success of Reaper is partly based on the community), but they are well thought-out and properly embedded in the program. You might argue that this feature is not very useful due to the radically different setups of the users. But PreSonus found interesting solutions to this dilemma. And that's the reason why a Music Loop always includes an audio rendering of the loop. That way, even if you don't have all the effects and instruments originally used to create the loop, you can still work with it. It's a clever solution and we really hope that the community will find it useful, which seems to be already the case. We also hope that the excellent presets/plug-ins/loops browser in which most of Studio One's user-friendly design is based will get a bit more sophisticated over time. We don't need a comprehensive tagging system, like the ones offered by Sony or Steinberg. However, we would like to have the possibility to sort things using categories or tags, music genres or sound styles. It would be helpful to see all available bass sounds at a glance, regardless of the instrument or sound library where they come from. For virtual instruments, we would also like a pre-listen function using a freely selectable MIDI file (a 1/4 note repeated over four octaves for example), so it isn't necessary to pick entries at random and listen to them one by one due to the not-very-evocative names — these are the limitations of a search engine compared to a system based on tags or categories. Finally, we would also like to have access to all third-party plug-in presets directly from the file browser. 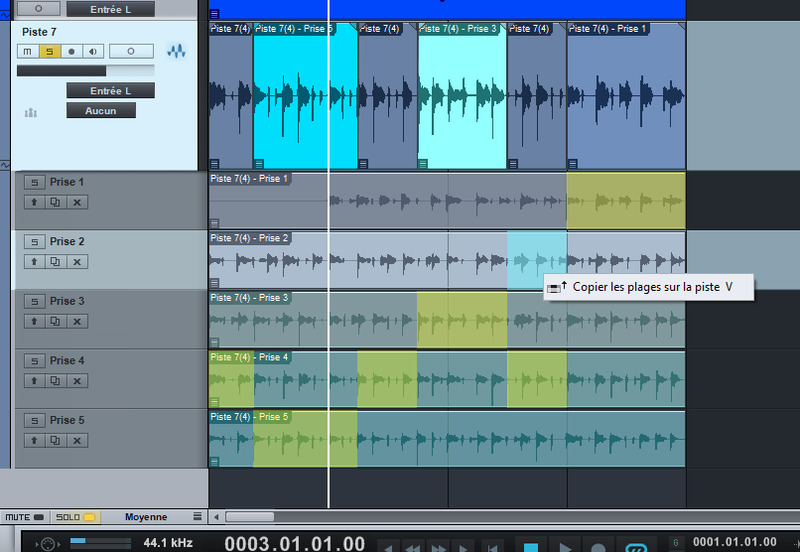 In the present version, you can access the presets of all PreSonus plug-ins, which is nice. But if you want to browse Kontakt presets, for example, you'll have to open Kontakt. So there is no way to have a global overview of all the available sounds and patches. Such a feature is certainly a technical challenge, but it's crucial to make life easier for the user. We asked "Technology Evangelist" Rodney Orpheus about these missing features when we met him at SAE Paris. He explained to us that if Studio One needed to go surround, it would have done so a long time ago, since a group of the development team previously worked on Steinberg's Nuendo. But Studio One is a music-oriented sequencer — it's neither for broadcast nor for AV production. It's for music only! This philosophy explains the lack of surround support. And you shouldn't expect this to change in future updates because it's a strategical decision. As for all other wishes, anything is possible. The development team is always ready to listen to the community... In any case, one thing is for sure: Studio One's main asset is practicality and simplicity. And that's the challenge for the future: how to add new features without making the program less user-friendly? Apart from these essential features, we also appreciate PreSonus' commitment to develop a modern sequencer: excellent SoundCloud integration, user resource sharing, etc. It certainly has still a long way to go. Some missing features must be added (especially OMF support or any other solution that makes it easier to exchange files with other sequencers) and Studio One can be improved in many aspects, but PreSonus is on the right path. Now, let's talk about the pretty aggressive price ranging from $49 to $319, depending on the version. In order to match every budget, the different versions omit several features. Basically, the main difference between both Artist and Producer versions is that the first one doesn't support third-party plug-ins or MP3 files. Moreover, the sound banks provided with each version are different. The Pro version includes many more features than the Producer version: more plug-ins (Open Air, IR-Maker, Multiband Dynamics), external hardware effects support via the Pipeline plug-in, Soundcloud integration, Quicktime video format support, 64-bit processing, and especially the mastering section of the program, plus Melodyne Essentials (provided as a trial version in Artist and Producer) and the Komplete Elements bundle. Considering that Melodyne Essentials and Komplete Elements are sold for $150, the Pro version is certainly the best value for money. Personally, I'm not sure if such a wide product range is useful: an "Artist" version without SoundCloud integration or MP3 and third-party plug-in support seems a bit cheap. I guess it would be more clever to have only two versions: Producer and Pro... Anyway, I suggest you to buy the Pro version. You'll save time and money. 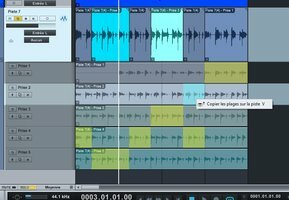 And if you hesitate with other allround sequencers around, I recommend you to download the demo version from PreSonus' website and try it out. Compare it with the trial versions of competitor products — if they are available — and make your own opinion. Some products will attract your attention due to their effect/instrument bundles (Sonar, Samplitude), others due to their incredible value for money (e.g. Reaper). However, I'm pretty confident about how Studio One will rate as soon as you stop reading the specs and start making music with it.